Sharon is the bright, cheerful welcome you receive when calling or visiting our office. As our Front Desk person, she handles the phones, scheduling, greeting and insuring your visit concludes as smoothly as possible when you leave. I am passionate about providing patient care, and it is my pleasure to greet and walk a patient through all aspects of our practice. I have been blessed with a wonderful husband of over 35 years, and we are proud to have two grown sons. My husband rescued our beautiful Lab/Pit bull mix six years ago, and we recently welcomed a Lab/Shepard grand-puppy to the family, who visits frequently. To stimulate my creative side, and help me relax, I have taken up crocheting. 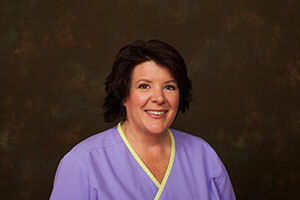 Laura began working as a hygienist for Dr. Woodside in 1998. She received her Bachelor of Science from Northwestern University Dental School. 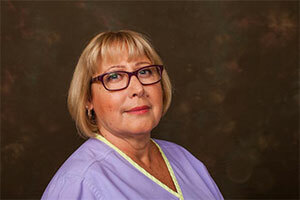 She is also an adjunct faculty member at Kennedy-King College, teaching future dental hygienists. Through the years, there have been many personal and professional changes in my life, and Dr. Woodside has remained a constant. She’s a wonderful person to work for; I really enjoy it. In my free time, I enjoy long motorcycle trips, but those have been cut short by my busy triplet boys, who are growing up so fast! 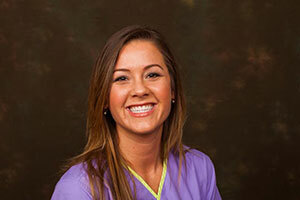 Stevie joined the office after seven years in the dental profession as an office manager and then a hygienist. She was recently engaged to her boyfriend, Tu. Her 3 lb. teacup yorkie is named "Biggie". In her spare time, she enjoys cooking, going to the lake, working out and spending time with her family. Dr. Woodside’s office has become a second family. It is such a great place to work!